It's interesting to me how the many 2 nights spent in Rome as a tourist made "Romaa!" my go-to answer to the question "What's your favorite city in Italy?" Friday, traveling back to Firenze, I realized that was no longer true. Its not that I don't love Roma, I mean how can you not? Its filled with historical monuments, the most prestigious pieces of renaissance art, architectural wonders that make you wonder how they accomplished that hundreds of years ago, because even today it doesn't seem possible, but something particular about Firenze, that I realized on my recent trip back, has bumped Firenze up to answer that question. Friday I left work by 4:00, Francesca telling me not to worry about finishing my work, and to go have a good time in Florence. Figurati! She herself was going to the Vasco Rossi concert at the Olympic Stadium that night, so she wanted to git-the-ladia (get the hell out of here/there) as well! By 4:50 I was walking down Via Catanzaro, stopping to get a panino at a small meat and cheese shop and on my way to pack my bags quickly, so I could get to Termini to catch the 6:20, 15 euro cheaper, slow train to Firenze :o) Good thing I did that because from the time it was supposed to depart, every 20 minutes it would be another 20 minutes delayed until the train finally left Termini 120 minutes later at 8:20. When I arrived in Firenze it was almost 11, I had informed Claudia of my delayed arrival, and it was dark when I stepped out of Santa Maria Novella stazione to find the number 4 bus. Even in the darkness, I was overcome by the strange feeling of being back home. I can't quite describe what it was, but there was a certain comfort in the air, and although I could see a few visible changes in the surrounding are since my last visit, I still knew how to maneuver the streets and how to take advantage of the bus system. I knew the 4 wasn't going to be there when I arrived, so I waited with my suitcase patiently, smelling the fresh florentine air and being grateful for Claudia and her extreme kindness. Around 11:05 bus number 4 pulled up, I hadn't bothered buying a ticket for the bus since it was so late, and then 10 minutes later I was hopping off at #31 Giovanni Fabbroni. Hoping that someone was actually home, I pulled my luggage toward the door, and faintly heard a voice saying "Lia! ", but I wasn't sure, so I kept walking, and then it came again "Lia! ", and Claudia appeared behind me and embraced me, we were too close now to do just the kisses on each cheek, felt good to have that closeness with her! After she briefly said hello, she went back to the car she had emerged from and said goodbye to Ennio, then escorted me downstairs into her apartment. I was back home! But then felt estranged when I went to walk to put my stuff in my room and was told to go to Gabri's room because there was a mexican girl living in my and Samantha's old room. Gabri wasn't home from being out with his friends and other ragazze yet, so Claudia and I sat down in the kitchen and talked about our lives. I was struggling with the Italian, but she is always so helpful in making me convey my point and correct my poor grammar. We chatted about boys, Chiara and the new baby, Gabri and how grown up he's gotten, and all of the crazy things that have been happening in our lives. Claudia called Gabri on his cell because it was getting late, and finally quarter past 12, Gabri arrived and we said our hellos, then resided to our beds, he to Claudia's room, and I to his because I was taking his bed for the weekend! In the morning I woke up early around 8 to head into town because I knew Gabri would sleep forever and that they wouldn't mind me being out and about during the morning. I started my journey off the same way I used to walk to school everyday for 10 weeks. Waltzing down Via dello Statuto, I felt back at home, and as I passed Gelateria de' Medici I wished that it was open 24/7. A gelato from there for breakfast would have been divine! I continued on past Medici, past the Fortezza di Basso and through Piazza della Indipendenza, down Via Nazionale and banked a left to walk through the Mercato Centrale. I had woken up early, so all of the bancarelle, clothing/leather/junk stands, were in the process of being opened and all of the shop keepers were focused on their normal rituals of their opening tasks. I did a quick giro through the inside market, deciding whether or not I wanted a cappuccino, decided against it and continued on walking toward the Duomo. Three minutes later, boom, the Duomo emersed out of no where and occupied my whole field of vision, walking out of a side street into Piazza del Duomo never got old. My eyes were always shocked and then contented at the sight of the juxtaposition of the battistero, campanile e il duomo. Only in Firenze can you see a sight like that! I lingered taking photos of Bruneleschi's masterpiece, it was like I had never seen the building or taken pictures of it before, HA! After contemplating the luxurious possibility of having a coffee at the famous "Scudieri" outside the duomo, I decided today was not the day, and I could splurge 7 euros on a cappuccino when I came back in the future with a REAL PAYING JOB! Instead, I trotted off toward Piazza della Republica to see what was going on there. I noted the SALDI stickers that had been placed on the windows of all the shops, and gazed at the long line waiting outside Zara, it was 5 minutes of 9:30, and the shoppers were ready to pounce once the doors opened. I walked past the lines of the store, admitting I would do a little Saldi shopping later, and I wandered off to Piazza della Signoria. Immediately I noticed a horse and buggy being dressed in white mesh bows and white balloons, and I immediately knew there was going to be a sposa coming soon. I hung around trying to eavesdrop on the people setting up outside Palazzo Vecchio, in order to determine the time of the sposa's arrival. I thought I heard 10:00, it was quarter of 10:00, so I wandered around the piazza, took some pictures and stumbled upon a newly inserted free water machine! It was a hut that served two options, acqua frizzante o acqua naturale. I was truly shocked at the presence of free sparkling water in the middle of an Italian piazza, che meraviglioso! Sipping on my free acqua frizzante I parked myself on a bench outside of Palazzo Vecchio where the horse and buggy had pulled up, and where a number of organizers from the bridal party were setting up cups of rice, prosecco, aperitivi, etc. I waited there watching the bridesmaids frantically pull everything together and wait anxiously for the bride and groom to emerge from Palazzo Vecchio. As the clock turned near 10:30, I myself was getting anxious for the sposa to show, I couldn't continue with my day until I saw her! Soon after 10:30 guests began shuffling out the grand door, turned around as they were handed cups of rice to throw at the couple, and finally the newlyweds emmerged, rice went up in the air, cheers of joy and auguri, and the popping of 10+ bottles of Prosecco... what a sight! Tourists like me (although I don't like to consider myself one) crowded around the party taking photos and catching site of the Italian wedding that just occured. The bride was beautiful and we all stood there staring as the wedding party shouted DAI, UN BACIONE! and the couple kissed for a minute or two. I hung around taking pictures and videos that I'm sure my mom would ask for, then I walked off to do a little shopping and a little more walking around Firenze. Popping in and out of store fronts I walked from Mercato Vecchio to Santa Croce and all the streets in between. I walked around searching for a new place to eat for lunch and around 1:00 I settled on a place called Chiaroscuro on via del corso that Anna and I had wanted to go into last year, but never had time. They have a case filled with multiple contorni, pasta dishes, secondi and anything else you would enjoy eating. I had a very very difficult time choosing what I wanted to eat, but finally settled on a plate of orechiette in a cream sauce with peas and ham, and some grilled eggplant on the side. The man handed me my plate, checked off a box on a receipt that said primi 6,00 euro, and I went to sit at a table in the back of the place. The pasta was superb and so was the eggplant, I was glad to have picked a new place to have lunch then the same panini shops I always went to (although those are very delicious too). After lunch I walked around for a little while longer, went into the Paperback exchange to get some cheap books. I've already read all my books I brought since my commute is so long! Since I had to walk past GROM gelato to get to the paperback exchange I couldn't resist. I got myself a cone with straciatella and ciocolato fondente, nom nom nom. Then I headed over to near Santa Trinita where the Feragamo Shoe Museum is located. Claudia had explained to me they just made a new law preventing more cars from entering the city center, so it was very easy for me to walk down the middle of Via Tournabuoni and find myself at the museum. I paid my 5 euro to enter, than leisurely strolled the halls of the museum looking at some of the most beautiful shoes I've ever seen. One pair was literally plated in gold! Around 3:00 I headed back to the Apartment, where I was hoping SOMEONE would be there because I didn't have a pair of keys. I got back around 3:30, and luckily Claudia was there to answer the door. I was wiped from walking around all morning, so I said hello, had a quick chat with her then resided to Gabri's bed to take a nap. The plan was to wake up at 5:15, take a quick shower, then bring the books I had finished reading to the Paperback Exchange to get credit to buy more books! When I awoke, Claudia had left me a note saying she was bringing Gabri to his band practice and that she would be back soon. After I showered, I wrote a note in replying saying I would be back within the hour and I rushed off into the center with my old books in hand. Right as I was on the brim of San Lorenzo, Claudia called me speaking very quickly in Italian and said something about where I was and that she had wanted to take me to see Gabri play, but I didn't quite understand when/where she was going, so I aborted my mission and returned back as quick as I could because I didn't want to be rude by misunderstanding what she had planned for us. So I walked through San Lorenzo, to Piazza dell'unita where there may have been a bus waiting to take me home quicker, but of course there wasn't, so I sped walk my way back to the house, only to find that no one was there... or so I thought. Close to 8:00, Claudia arrived, I had been waiting outside for 40 minutes or so, which I didn't mind because it was nice out, and we found out that the mexican girl grecia was indeed inside the whole time but never answered my insistent buzzing of the bell. Claudia let me inside, we dropped our things, freshened up then we went out to see Gabri play in his band. I had never driven in a car with Claudia before, so I really felt like I was part of the family now! We chatted about life some more in the car, then enjoyed 20 minutes of Gabri's band practice. They were pretty good, I was impressed! When we returned home we immediately sat down to dinner. I helped set the table, and then sat in my usual seat, which was kind of awkward because when Grecia (the mexican student) came to sit down it looked as though I stole her seat because she was unsure of where to sit! Woops! For dinner we had leftover eggplant parmesean, fagiolini, couscous and some kind of meat that she made in a creamy milk sauce. Everything was delicious, and I was more than full after dinner, so full that Gabri and I aborted our plans to go get a gelato at Medici! We hung out for a while at the house and Claudia asked me if it was okay if she went out with Ennio, she felt bad for some reason... I obviously didn't care cause I wanted to go out too! So we both got ready, I helped her pick her shoes out, and make sure the outfit was perfect, then we both went our separate ways! I headed into the center to see if there was music anywhere. I had seen a stage being set up in Piazza della Republica for the opening of the new Hard Rock Cafe, there was one in Piazza della Signoria and there was also one in the Piazza of Santa Croce, so I figured one of them had to be doing SOMETHING! So I walked through Republica, nada, then on to Signoria, JACKPOT! The Piazza was PACKED and an enormous orchestra was playing beautifully, the crowd enthralled by the sound. Unfortunately the music ended early, around 11:00, so I continued my wandering habits and went and plopped down on a bench in Piazza della Republica watching the same bar that always has a keyboard playing man accompanied by a singer and a crowd of people who payed 12 euro plus for a drink dancing on the dance floor. Always a good place to go watch people when you're alone! After sitting for 30 minutes or so I finally got the courage to converse with some Americans and two of their brazilian friends who were looking for the club 'Space' that I had never been to. I couldn't help them find that, but I explained my situation and why I was in Florence and they suggested I go out with them, so that I did. I showed them Naima, which was overflowing with people, and then we walked on toward Santa Croce to head to a bar or club there. We went to a place called Oibò right on the corner of the piazza, and it was packed with people both inside and out. I got myself a beer, then went on to talk with the two americans and the highly entertaining brazilian couple, they were all molto gentile. The brazilian girl (Caca, or Camille) made friends with a local Italian in the bar, lui si chiama Manuele, and he convinced us to walk up to Piazzale Michelangelo around 1:30am to go to the most prestigious discoteca for the local florentines, I said why not? and we were off climbing the steps to Piazzale Michelangelo. Unfortunately when we arrived the bouncers decided that our group was inadequately dressed in their jeans and button down shirts, so we were denied access into the club, all of us except, Manuele. He was dressed appropriately for the occasion and he happily entered as the rest of us walked off discouraged. I didn't really mind that we didn't get let in, aside from the fact that I really needed to go to the bathroom... so I walked up the hill a little ways further and found a nice bush, while the others waited looking at the view of Firenze from Piazzale Michelangelo (my favorite spot!). After we and the other Italians in our group got denied access to "Flo" lounge bar, the Italians left us to find another place to dance, and us americans and brazilians sat outside and talked and walked leisurely back to their apartment, kitty corner to Piazza del Duomo. They brought me up in a rickety elevator for no more than 2 people to see their large apartment with two balconies and an extremely wonderful view of Brunelleschi's dome. I found it unfair that all the american ungrateful students always get put in the nicest most convenient places when the majority of them are just there to party. Mehh. Not much you can do about it... Spencer called me a cab to Piazza del Duomo, 5 minutes later around 3:30am I was in the cab speeding down the cobblestoned roads toward Giovanni Fabbroni. By 4:00am I was fast asleep, by 5:00am I was being woken by the damn zanzare and by 11:30 we were all up for real, I talked with Claudia and sipped a delicious Cappuccino, it was wonderful colazione. Good thing we ate breakfast at 11:30 because we had a family lunch date at Carla's house at 1:00, I was afraid of the amount of food that was going to be piled upon my plate there. Around noon Chiara came with the new bambino Andrea! Che carino! Cutest little guy ever! We hung around Claudia's house for a little while then at 1:00 we headed to Carla's to surprise her with Chiara and the baby, and to eat a wonderful famliy dinner (Lia included)! I helped the Stanghellini's set up the dinner table for 7.5, it was Carla, Claudia's dad, Claudia's Zia, Gabri, Me, Chiari and Andrea (1/2)! First course we had a delicious pasta with a ragu sauce of rabbit. Delicious, and the zia PILED parmesean cheese over my plate... I couldn't complain. Then we had chicken and more rabbit, then salad, then dolci, then fruit, fruit and more fruit. Gosh I just love cherries and watermelon, ciliege e cocomero. By 3:30 we were back at Claudia's, I had said good bye to Gabri because his dad came to take him back to his house. Claudia and I discussed the rest of the evenings plans, she had a prior engagement to go to at 7:00, and I wanted to walk around some more before leaving, so Claudia walked me into the center, we said goodbyes, and she told me there would be food awaiting for me upon my return home in the kitchen, and told me not to forget the pesto in the freezer. We went our own ways and I spent the rest of the afternoon walking in centro then up to piazzale michelangelo for a view during the day, then I took the bus back down to SMN, then walked home past Gelateria Medici to grab a cono un'euro cinquanta con kiwi e lampone, then I ate dinner of all the leftovers at the house, and was on my way back to Roma by 8:10. Successful weekend! Wow! Jam packed weekend in Firenze! Everything from Brides to new Babies. Forza Manuele! No fotos of how he was dressed?? Love the foto of you on the bridge. Whew ... I'm tired after reading that! Soliti luoghi comuni e anche scritti male. Any tourist, visitor, or inhabitant of Bologna has witnessed the weeks of graduation ceremonies that occur throughout the year in the city center and might identify the laurel graduate crown, students dressed in costumes and loud Italian chanting as the symbol of Bologna instead of Piazza Maggiore, Le Due Torri, Mortadella and tortellini. And right they are, the laurea is a key aspect of the Bolognese lifestyle, an enriching part of the city's identity and one of the main reasons why many of Bologna's inhabitants have chosen Bologna as their Alma Mater. 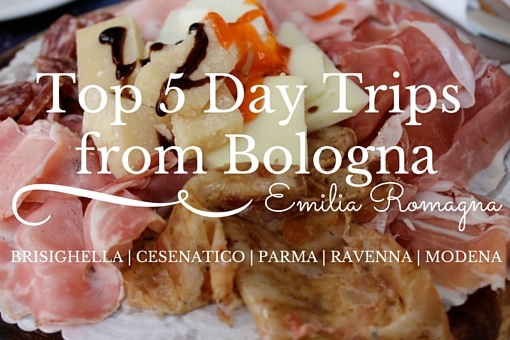 Top 5 Day Trips with Bologna as your home base! When I first moved to Italy I quickly discovered that I am a person with natural wanderlust. Being in Italy only further encouraged my wanderlust, the best part being that I could even do it on a student's budget. When you're in a country where trains and buses make traveling to the remotest of areas easy, it's impossible not to explore, and even easier than you might think to navigate to remote areas far beyond busy cities with out a car. What makes it even better is that you quickly learn it's easy to find countless picturesque cities with at least one delicious restaurant, bar, cappuccino or pasticceria. With Emilia Romagna as my oyster and other neighboring regions close by and well connected by train, I made sure to take advantage of my days off of school, free half days, as well as long and short weekends. Last Friday afternoon I went to go visit my 97 year old Aunt Marion for the last time. It was a bittersweet afternoon, but also one that filled me with nostalgia and pride. Aunt Marion's son, Johnny, as well as my Dad were visiting with her at the same. We were exchanging stories of the past and of our current lives among us and with Aunt Marion, and Aunt Marion had a couple of caregivers from the nursing home visit while we were also there. I did not go visit the nursing home on a regular basis like my Dad and Johnny, so my relationship to Aunt Marion was unclear and unknown to her caregivers and nurses who had stopped by. Naturally, one of the nurses inquired about who I was and how I was related to Aunt Marion. Johnny responded, telling her that I was Aunt Marion's niece of sorts, and that led to the next question being, so then "What is Lia to you [Johnny]?"